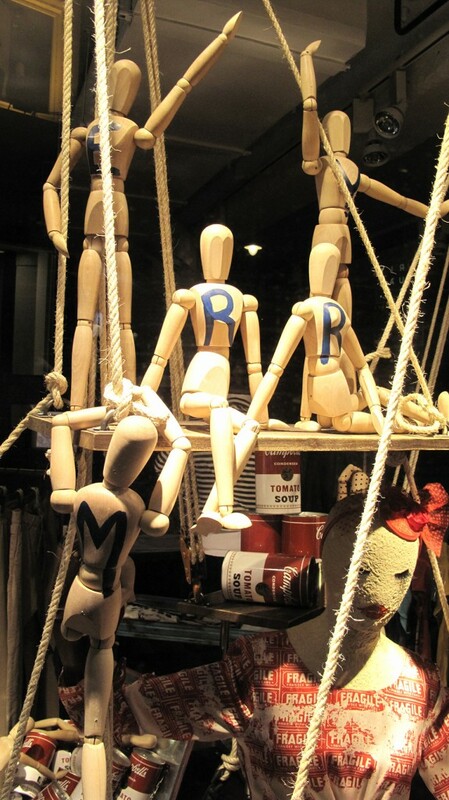 Pepe Jeans is a well known denim and casual clothing brand from London. 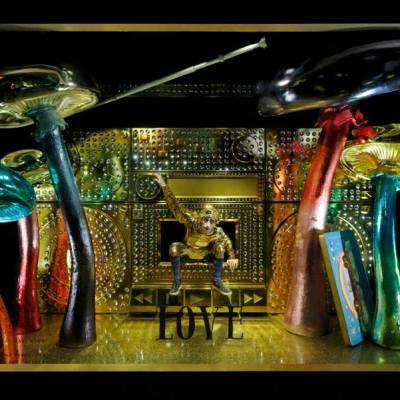 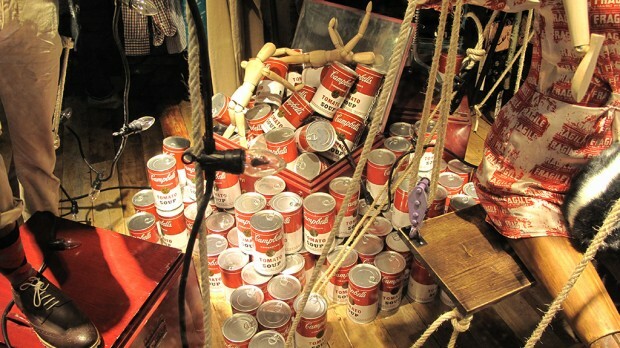 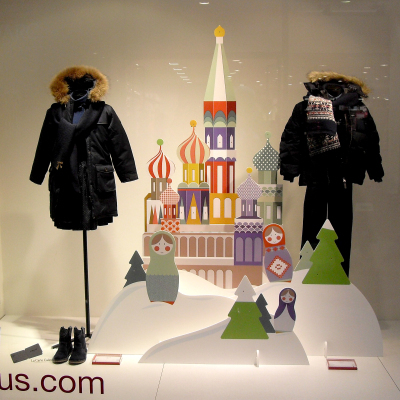 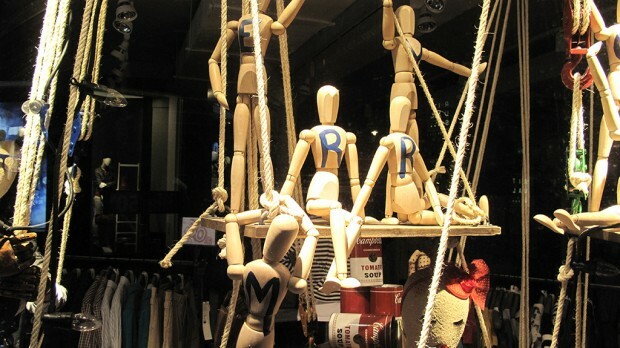 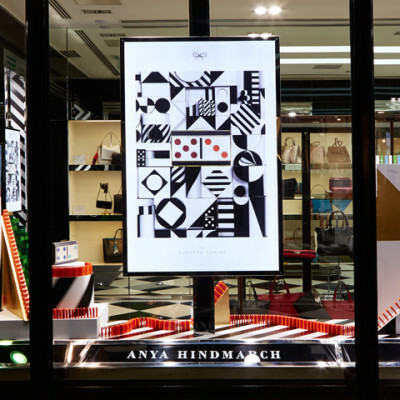 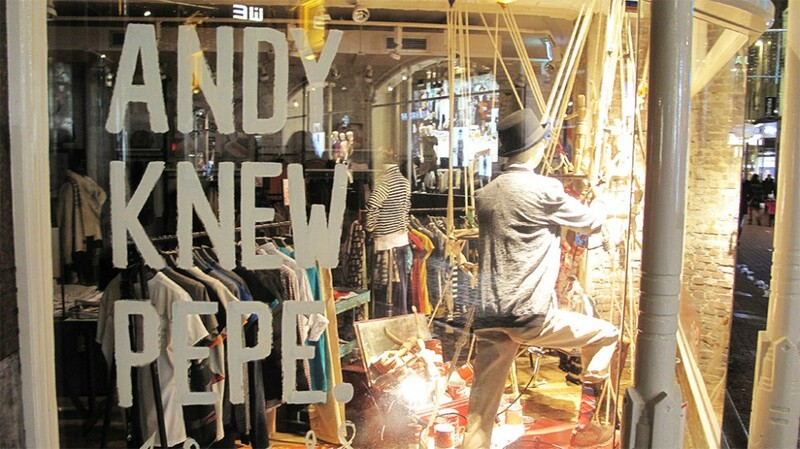 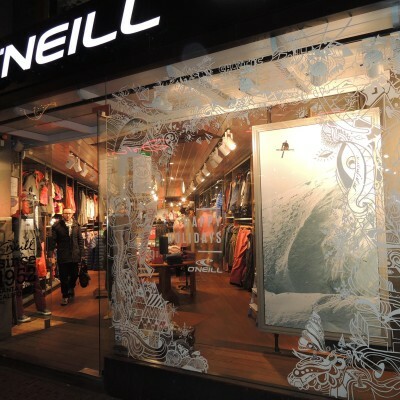 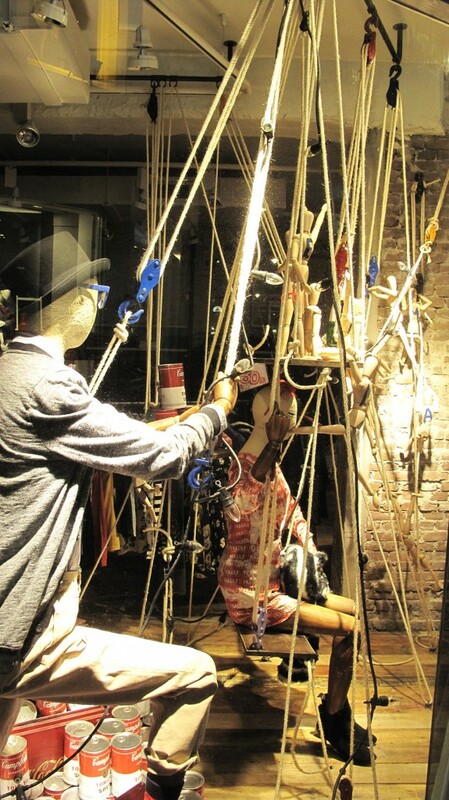 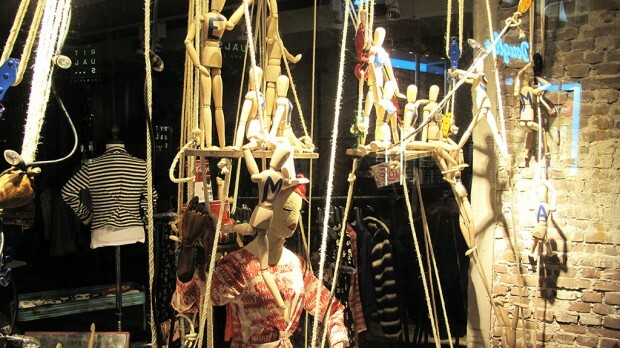 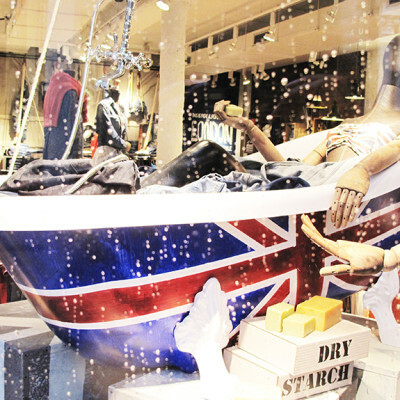 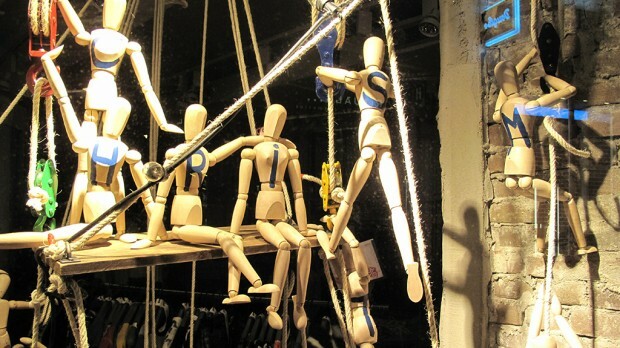 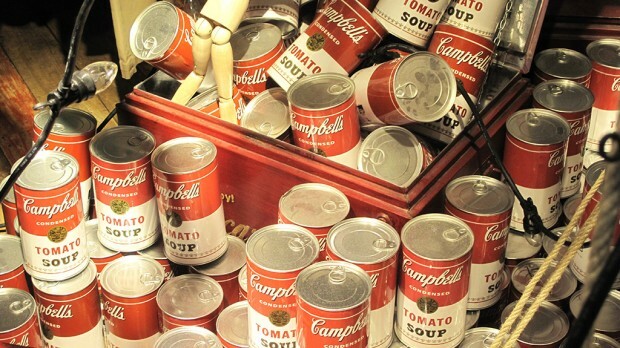 The Christmas window display of Pepe Jeans is all about the Andy Warhol Autumn Winter 2012 collection which is inspirited by his famous work: Campbell’s Soup Cans. 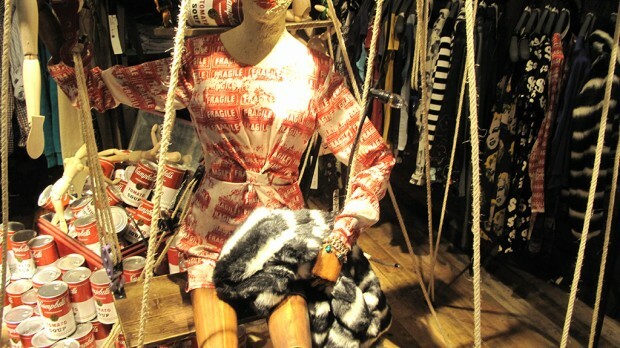 The mannequins are wearing the Andy Warhol collection and are surrounded by Campbell’s Tomato Soup Cans. 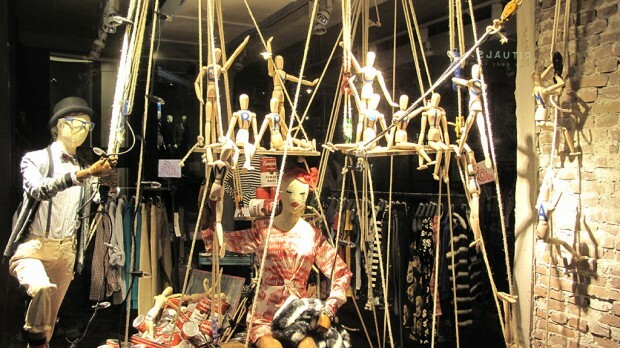 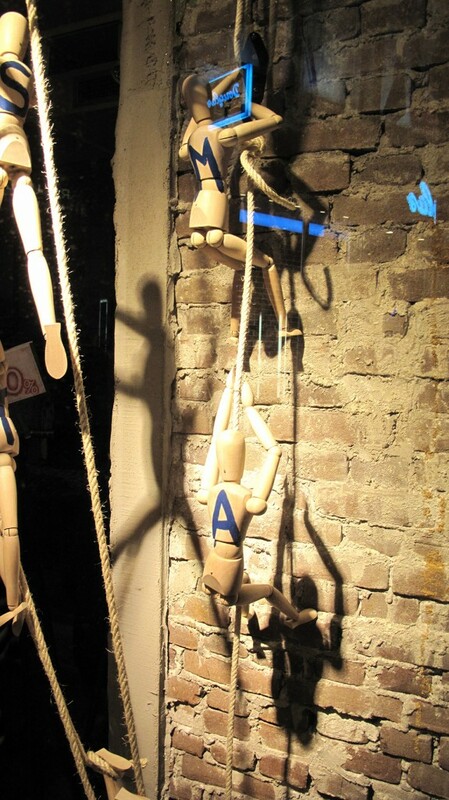 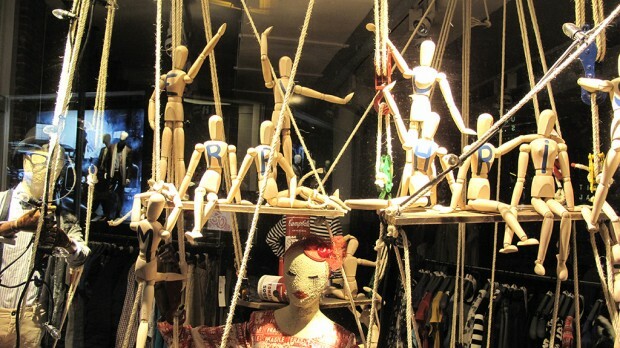 On each of the wooden drawing dolls there are letters painted, together it says “Merry Christmas”. 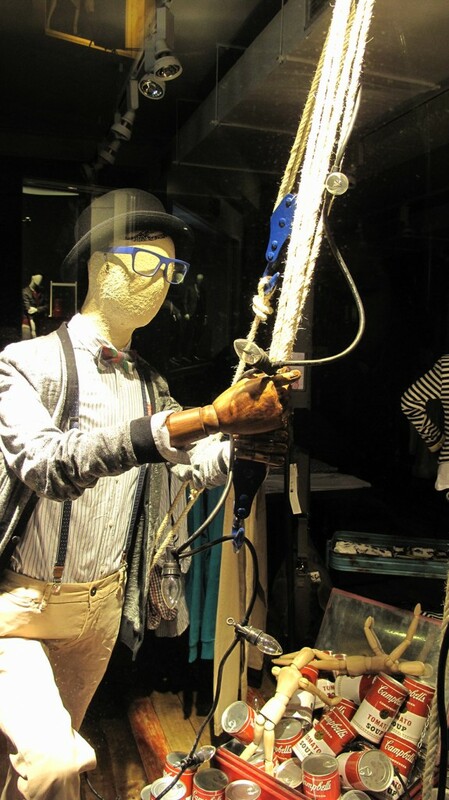 The male mannequins is wearing the “HALSTON” long sleeved striped shirt with “PANTS DUSHEY” Chino trousers of the Andy Warhol Collection. 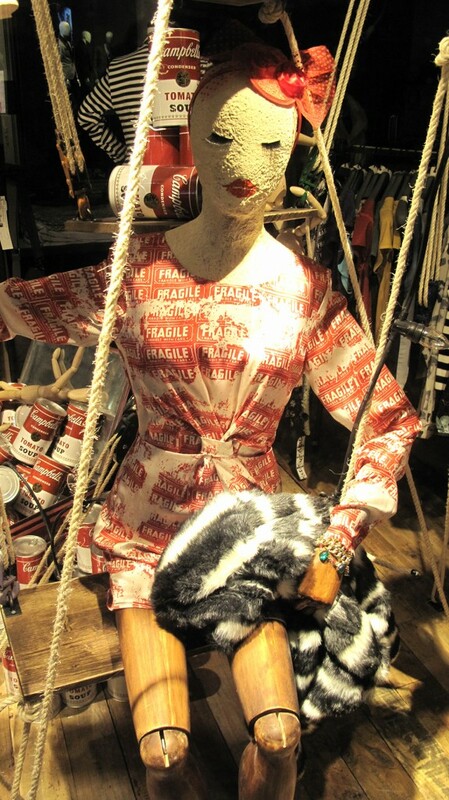 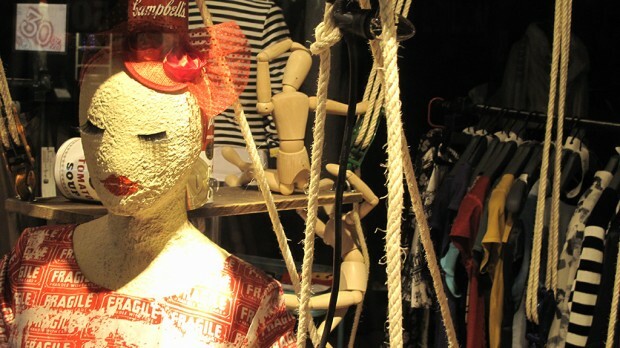 The female mannequin is wearing the “GREENE” mini dress of the Andy Warhol Collection with a faded print that says: FRAGILE.